– Finally, we are hitting the river! Were pulling away from the shore, approaching the mainstream of the Amazon. I am glancing at Dawid, Dawid is looking at me. Something seems not to be right! We are not pedaling, yet still moving forward. Kind of boring: no action, no pedaling. But, after we have ridden and pushed our bikes uphill, especially at the height of 4000 m above sea level, this moment feels like a special treat! 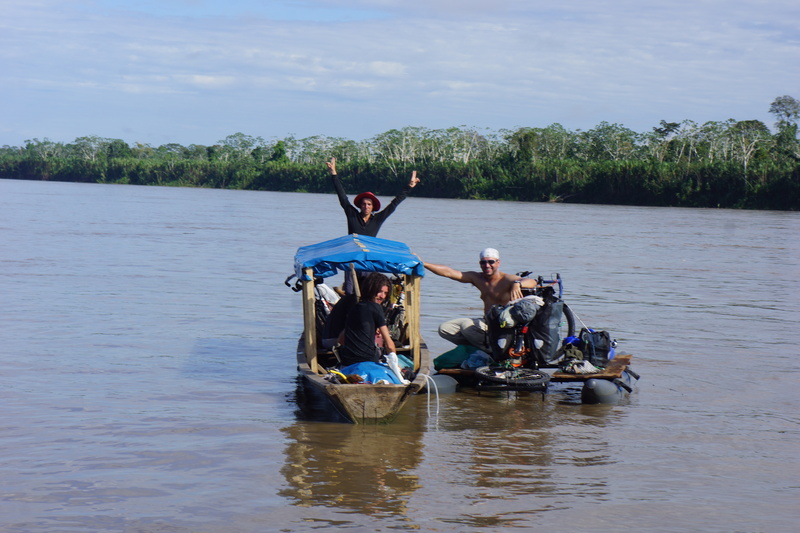 – Hubert KisiDski recalls the first impression on the water after he and David launched their Amazonian bikes and set off on a journey deep into the Peruvian jungle. 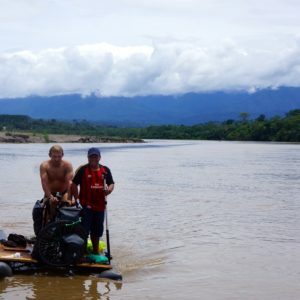 Eight days after they had left the town of Atalaya, where they had began a biking journey on the Amazon  or, actually, on Ucayali River, which is a tributary of the Amazon – and after 420 kilometers of pedaling, brothers Dawid Andres and Hubert KisiDski arrived in Pucallpa. 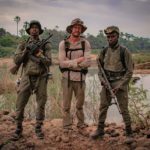 Together with Felipe Suarez Ruiz, an Indian from the Ashaninka tribe who has been assisting them as a guide and bodyguard, they waded through the region believed to be one of the most dangerous for foreigners in Peru. The Atlantic Ocean still stays about 6,000 km ahead of them. 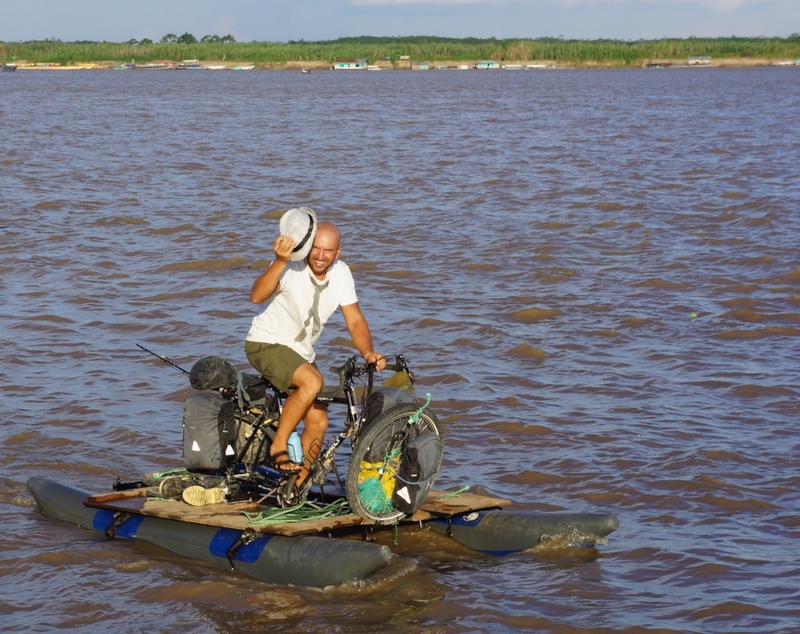 The”most challenging concern was how the innovative design, which is their Amazonian bicycle, will work in practice. Tests on the Warta River in Poland were successful, but it wasn’t the mighty Amazon, with its whirlpools and high waves, not to mention her size. 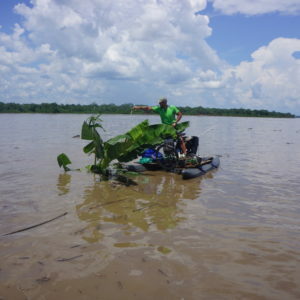 They had several sleepless nights, and almost became – as they claim – obsessed, over the bike drive, a crucial part of Amazonian bike construction that is responsible for the movement and control of vehicles on the river. Even before they finally launched their bikes in Atalaya, they decided they should work on the construction and slightly modify it. – We fixed drive on bearings; we lost a lot of time on it. We welded threads, but on Hubert’s bike that thread soon broke off and we had to install the screw, which we had brought from Poland. The constructor of our vehicles as the last resort prepared it, and it turned out that he had done a trick. “Now, Hubert goes just like a rocket. “- Says Dawid, and of course he means Hubert’s bike not Hubert himself. Fortunately, he does not need any bolts, yet. 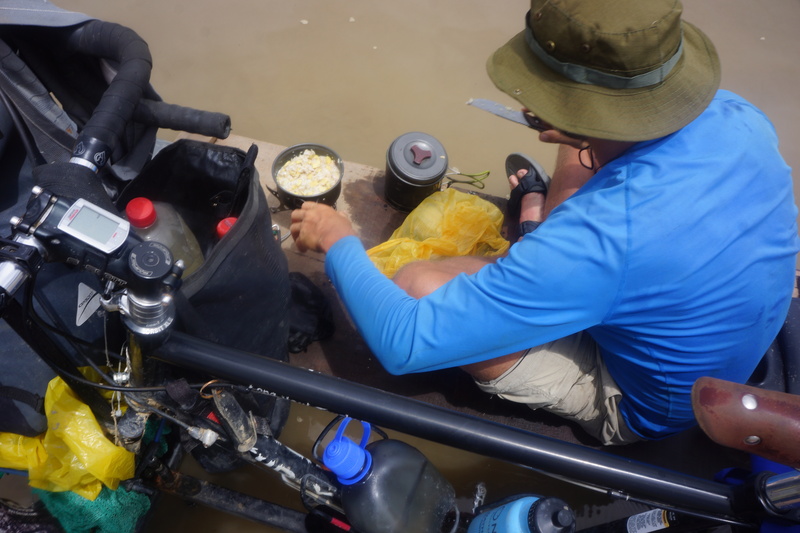 Dawid’s bike is equipped with much smaller propeller that requires him to pedal faster, especially under more difficult conditions on the river. 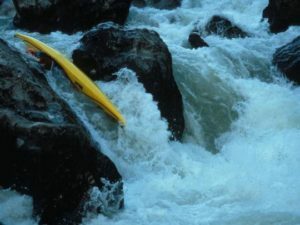 For safety of both travelers, it is very important that they don’t allow rushing water to carry them off-the-road. 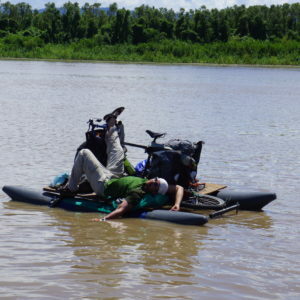 The Amazonian bikes easily stay upright on the water because their center of gravity is so low that the vehicle would have to tilt to 45 degrees angle to be overturned. This year, rainy season in Peru started a little earlier and it rains a lot, which elevates the water levels in the Amazon to a much greater degree than usually. As a result, the river is moving faster, flowing 5-7 km/h. 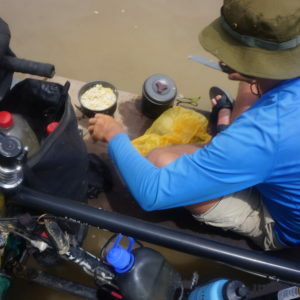 30 years ago, at exactly the same time, when we were kayaking between Atalaya and Pucallpa – as a part of the “Amazon Source to Sea Expedition 1985-86 – the water was very low and almost didn’t move. It took us 15 days to cover this distance. Dawid and Hubert, with their average speed of 10-12 km/h, were done in 8 days. They are actually positioned sideways to the direction of the route, and the water itself carries them along with the river’s current. Howev”, it requires some effort to rally from the shore and reach the mainstream, which is clearly marked by heaps of bushes, broken trees, or even whole banana trees carried by the river in large quantities. Although they run at good speed, Dawid worries that they don’t put enough effort into pedaling. ? All the time it feels like we pedal too little. After pushing the pedals so hard for 2,000 kilometers in the mountains, now, it seems that we are completely idle – Dawid mocks, laughing, that his brother – perfectly adjusted to this situation – stays all day long on a board placed on the inflated runners. Well, he could afford it, because on the other tube was watchful Felipe. “Amigo Huberto, es problema” – lovable Ashaninka woke him up from more than one nap with a warning message. 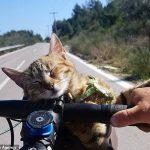 Usually, it was enough to push pedals few times to set the bike back on track, and then he could indulge again in sweet idleness. The mountains all looked like hell. The storm just hit. The water level just skyrocketed. The brothers, together with a three-person group of French travelers whom they have met along the way, pitched tents on the sandy beach and – not sensing anything – went to sleep. In the mountains, though, it must have rained heavily: the water in the river began to rise. The sweet dreams were sharply interrupted by Felipe. 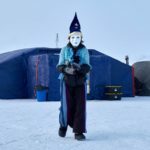 Through walls of their tents came to their ears menacing roar of the water and the crunch of ground broken off from the banks and taken by a powerful current of the river. 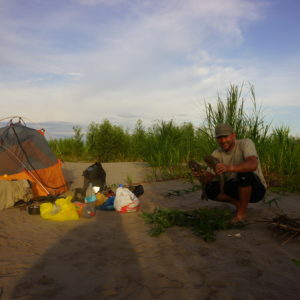 If not Felipe, tents and their inhabitants would have shared the same fate as trees and bushes on the riverbank. Rushing water was claiming everything met along the way. In the morning it seemed that they were starting much calmer day. Bikers left the river bank, as usual, heading toward the mainstream. Once they were almost in the middle of the river, in front of them appeared a huge whirlpool. 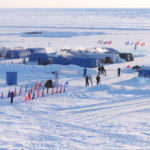 According to their quick assessment water formed a circle with a diameter of about 30 meters with the deep funnel in the center having a diameter of about 1 meter. Whirlpools are one of the greatest water dangers on the tropical parts of the Amazon. First, Hubert was grabbed into that vicious circle. – On the third lap I thought, perhaps I would not come out. I pedaled like crazy. The steering wheel turned all the way. I was determined to get out! 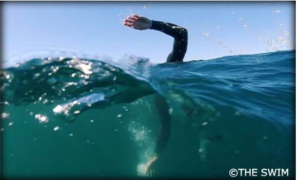 On the next lap somehow I was thrown onto calm water – Hubert recalls, adding – I stop; I look back and what I see? Dawid is recording this using his GoPro webcam! I cried at the top of my lungs: Dawid run! Pedal hard, because once you are inside, you cannot get out! It is too late. Dawid was almost sucked in by circling water at breakneck speeds. On a bike with much smaller propeller it seemed he had no chance to exit. And then, a miracle happened. Suddenly the whirlpool stopped; the water from the funnel sprang up, throwing Dawid and his bike toward calm water. – When Hubert spun in a vortex, it looked funny. He ran around in circles, pedaling at the same time with such speed like do that characters in the cartoon movies for children. Pretty soon, I wasn’t so amused when I found myself in a similar situation – jokes as always Dawid. 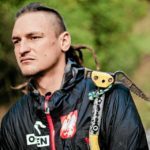 In May 2011, Celina Mroz and Jaroslaw Frackiewicz, a married couple, well-known Polish kayakers and globetrotters were murdered while paddling near-by the village of Tahurapa. Ashaninka was very reluctant to talk on this subject, because as a result of that tragic event it affected reputation of his people. Actually, two drunken residents of a neighboring village lost control of their actions and perpetrated the massacre. According to our friend Felipe, “The Wanted” criminals are currently hiding somewhere in the jungle from Peruvian authorities. Seeking to distance themselves from the responsibility for that bestial act, the Indians of Tahurapa placed a cross at the crime scene. 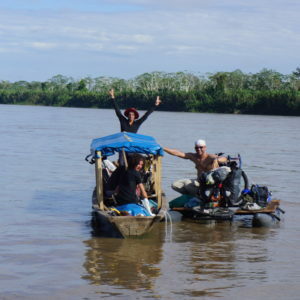 The villagers, in particular the Felipe’s family: mother, sisters and a brother welcomed extremely warmly the two Poles traveling on their water bikes. With warm hospitality they tried to erase a bad reputation, which fell on them due to drunken neighbors and wanted to show that are friendly to anyone who visits their region. 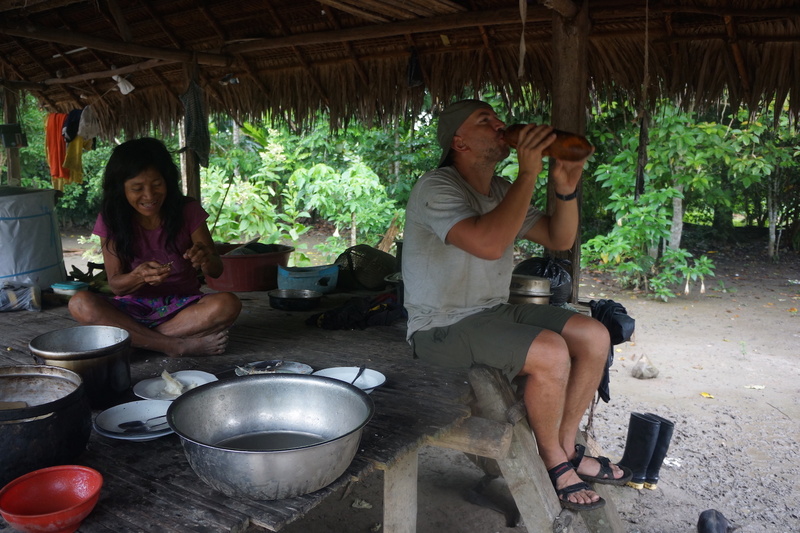 For Dawid and Hubert staying in the village was a great opportunity to taste life the natives lead in the Peruvian jungle: simple, joyful, without chasing the fleeing time and without a sense of constant lack of it. – They grow yucca, enjoy themselves, and just live in another dimension of time. They have neither television nor radio; interestingly, they accepted such a technological advancement as energy-saving bulbs and sonar. They don’t have telephone either, because there is no reception – describe the everyday life of the Ashaninka both brothers. 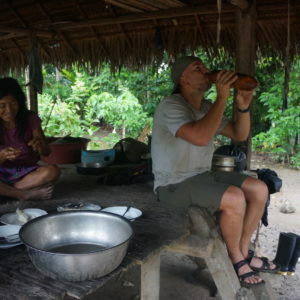 – Piotr, this is the world and the same people, except, maybe a little differently dressed, as you saw them thirty years ago while kayaking the Amazon – adds Dawid. – They live their own lives and do not need anything more. 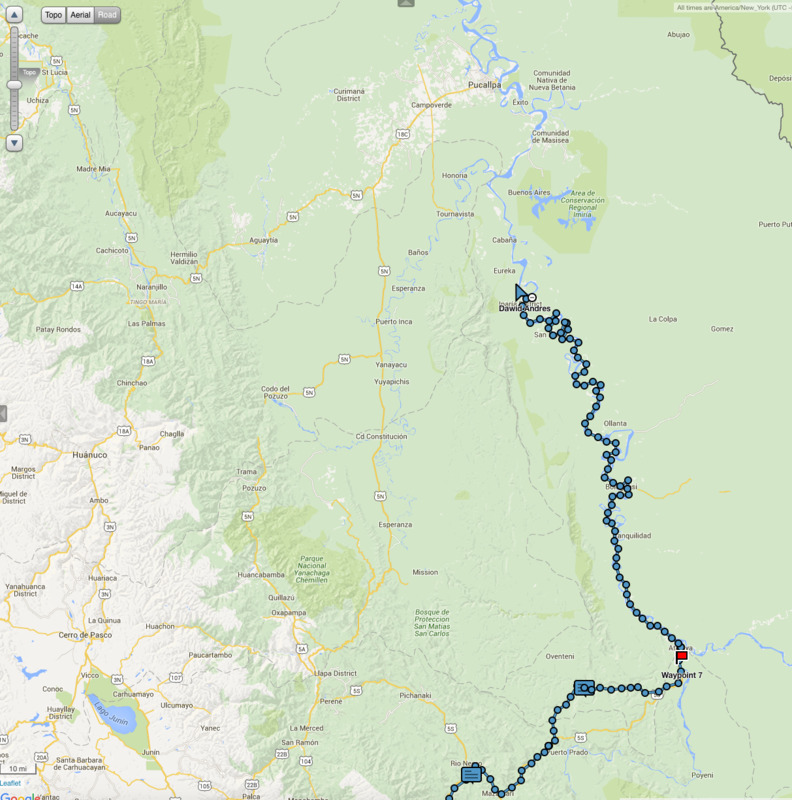 Looking at the map of SPOT recording the brothers’ route, all too often it seemed that they run this expedition not by river but by land. This is another secret of the Amazon River, causing that it is so difficult to define and unambiguously describe it. 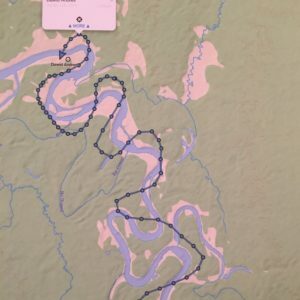 Course of the river on the map doesn・ft match the biker’s course recorded by SPOT. 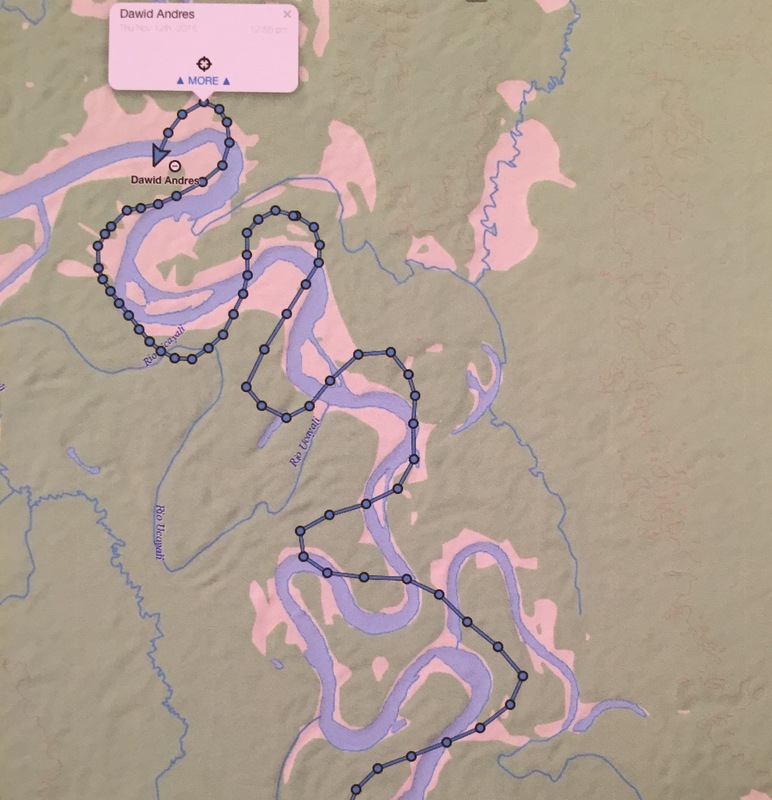 The bed of Amazon moves approximately every year and unfortunately, satellite images and based on them maps, can not keep up with the changes taking place in the river. Amazon pours its waters, while changing the way its run. These variations make attempts to determine length of the river clearly impossible, because this characteristic is not constant and depends on changes of river course year”fter year. Thus, Amazon is one year longer next year – shorter nobody is able to say what is the length of the largest river in the world. 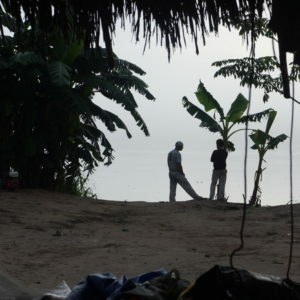 It is a frustrating and the same time exciting mystery of the Amazon. 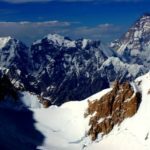 I am often asked about how to choose the goal for the expedition or just how to get it started. Always, I answer that everyone must find his or her own “Amazon”. Even if it is a modest project; easily accessible little river close to the house or a small mountain, just something what can help a person to get back the confidence, strength, and endurance while teaching determination and consistency. Listening to the enthusiastic stories of Dawid and Hubert I have an impression that the brothers definitely found their “Amazon” undertaking this biking expedition. – When I found myself on the water, I was amazed. The river is just so beautiful. This is what I dreamed of. Hubert and I were ecstatic with the wonder and beauty of nature, water, tree shrouded in fog, pink and black dolphins while plying near us. 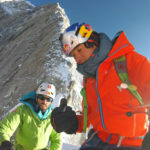 Our solitude, silence – sometimes Dawid lacks words to describe overflowing him feelings of joy and excitement. 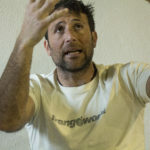 While on the water, he is thinking warmly about his family, about his wife, who from the biggest opponent of his expedition turned into the most enthusiastic supporter. 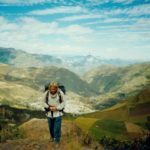 He is thinking of his in-laws, who moved in with their daughter keep her company and to help taking care of the grandchildren during his expedition. He is grateful for all these great things. 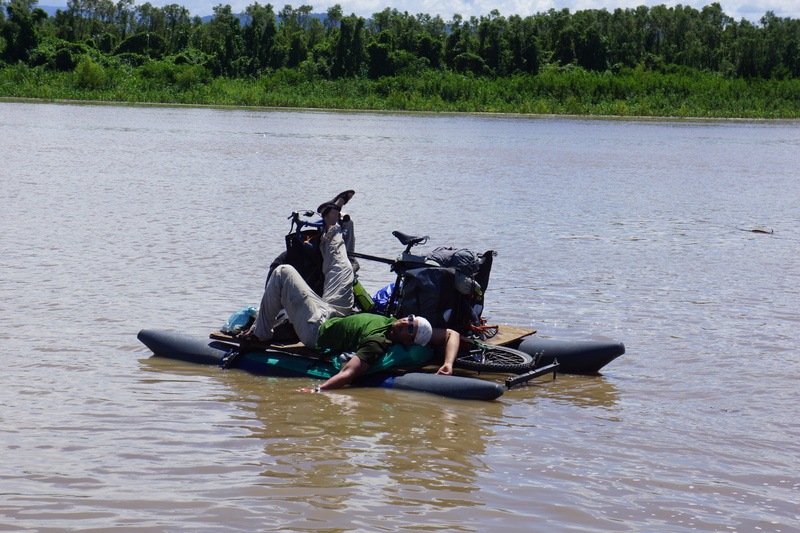 – When I lay on the tube of my Amazonian bike quietly moving with the current of the Amazon, I look at the sky and think to myself: God, I will miss this moment, I love this moment, I love being here and now. – He reflects. 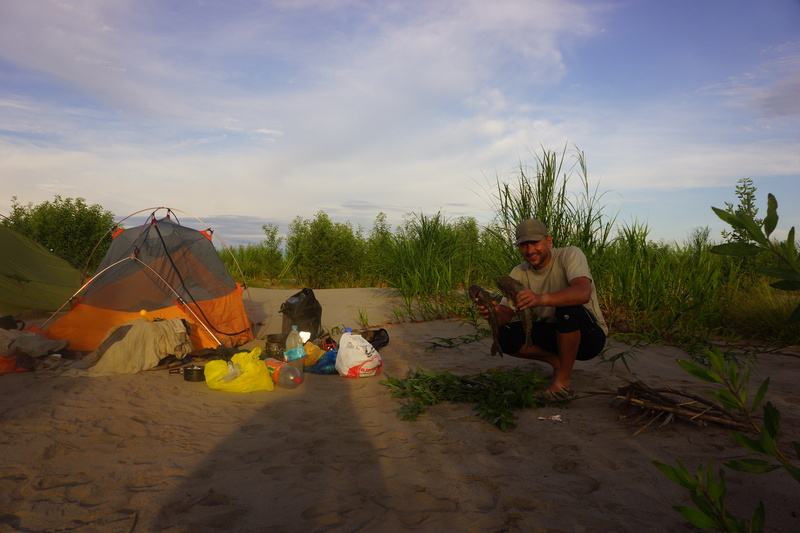 And in a moment he adds – Sometimes I have dreams that I am not on the expedition… I wake up on the water and … I’m happy! 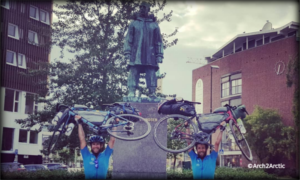 For both brothers, this expedition was a dream of a great adventure and they are undertaking it on their own without sponsors. It is also a test of their capabilities, skills and life lessons of wisdom. And even a kind of therapy. 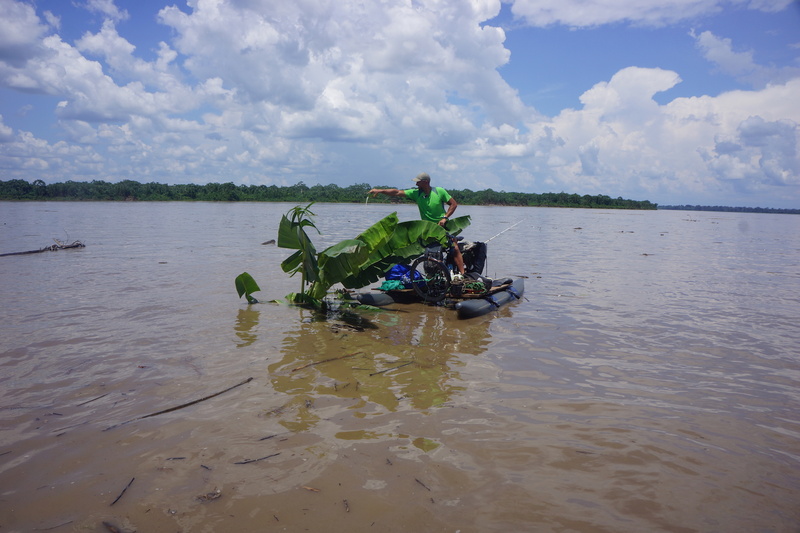 Biking the Amazon, Hubert still confronts his past. Past full of pain over the loss of home, full of destruction by seeking relief in drugs, full of fear of the future. The present is still full of anxiety but also hope. 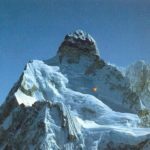 This expedition is helping him to gain confidence back, to prove to himself that he has the strength to face adversity, he is able to act consistently again and take control of his actions, feelings and reactions. Hubert believes already, that a new chapter is opening in the life of his own and his family. – It is important to start life anew. I have to go back home and sort things out – Hubert says. 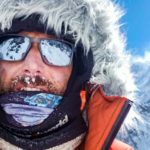 – Taking part in this expedition, I want my wife Emilia and my sons, 5-year-old Dawid and 4-year-old Philip to be proud of me. I want to start to build something new. 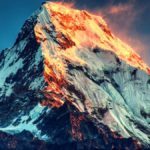 This specific treatment in the form of brotherhood bonding on challenging adventure, Hubert owes Dawid, who at a difficult time once again extended his hand to his younger brother in need of support. – If Dawid didn’t step in, I do not know how it all would have ended; surely I’d be at the bottom – Hubert says with undisguised emotion, gently stroking his brother’s head and then I see a completely different face of this always laughing, jovial easy going fellow. 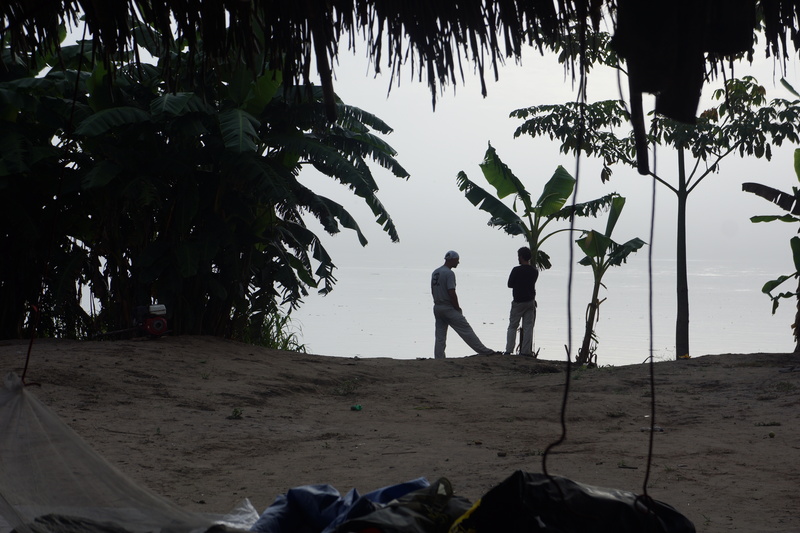 On Thursday, November 19, Dawid, and Hubert, already on their own, without Felipe, left the port of Pucallpa to continue their journey. The next stop is in Iquitos.